Delicious and rich in test, this decedent six pink roses is simply irresistible and sending along with half kg pineapple cake luxurious arranged will surely take her breath away. 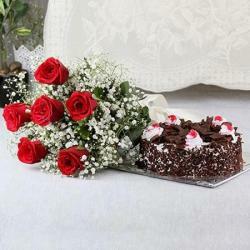 This unique gift hamper shows the purity of your love. It really affects the people to understand feelings. Want to share your feelings to someone then this is the best option. This is a complete surprise symbolizes a glow with an amazing spectacle of popping color of beauty and yummiest. 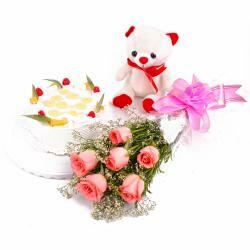 It is perfect gift for like Birthday, Anniversary, Housewarming, Baby Shower, Baisakhi, Republic Day and many more. Send your love and care wrapped in this gift through Giftacrossindia.com. 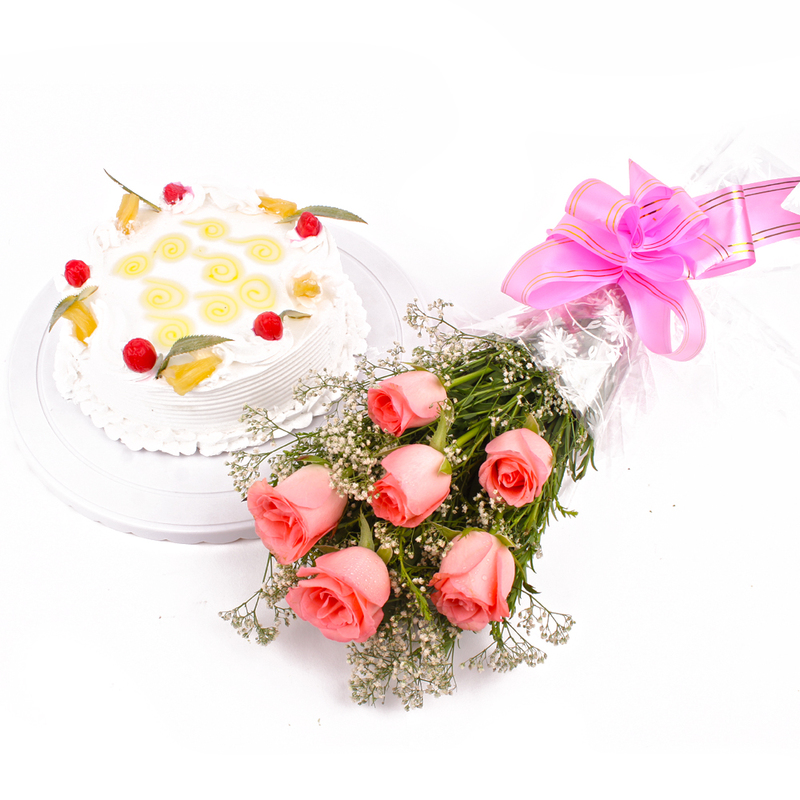 This gift hamper contains : 6 Pink Roses Bouquet along with 1/2 kg Eggless Pineapple Cake.